Although this final Hatchet film isn’t Directed by Adam Green, he actually had complete control over the project, plus the new Director; B J McDonnell, was handpicked by Green – and He did a fantastic job! So for today’s weirdo’ween post, we visit Honey Island Swamp one last time, and we’re going to finish Crowley off. for good. Now the important thing to note about this film is that unlike the other Hatchet films, this one took away a lot of the comedy aspects. Don’t get me wrong, there are in movie jokes, but it’s become a full fledged horror film this time around, and it’s great! Picking up from where Hatchet II left off, Marybeth Dunston [still played by the wonderful Danielle Harris] blows off the head of Victor Crowley with a shotgun. Repeatedly. She walks away and comes across the bodies of almost everyone from the previous film, when she hears Crowley, deep in the woods. Marybeth starts up a nearby chainsaw, but is grabbed by Victor. [poor girl can’t catch a break!] Marybeth then kicks him, and as he falls backwards onto the chainsaw, he is then cut him straight down the middle of his torso. She grabs a shotgun from one of the dead men nearby, and shoots Victor‘s head, and walks back into the city’s sheriff’s station, carrying only his scalp. Sheesh. What an opening! Of course, when Marybeth arrives and explains what just happened, no one believes her and they place her in a cell for the murders. After some discussion, and a hearty explanation in full, finally convinces the Deputies, The Sheriff, [played by Zach Galligan] paramedics, [but, why paramedics? are they going to revive a decapitated person?] and an entire SWAT team go to the swamp, only to find countless bodies and body parts. Working as a team, they start dragging body bags onto their boat. Meanwhile, an annoying reporter who has been listening to the police frequency shows up at the station, and demands to speak to Marybeth. As it turns out, this reporter is the ex-wife of the Sheriff and she manages to manipulate one of the deputies into doing whatever she wants. She comes bearing bad news – Crowley can’t be killed. She explains that he will always return because he’s on a mission – and Marybeth is the solution: Being as she’s the last of the Dunston family, Victor needs to be put at rest. The reporter then convinces one of the security guards to let Marybeth out, and the two go on a trip to find Crowley‘s father’s ashes, which will help put him at ease. So check out Hatchet III, but do so by picking up the Dark Sky‘s Blu-ray version.. This one comes with two different commentaries that are informative not only on this film but on the horror genre in general. It has some excellent behind-the-scenes footage of how Kane‘s makeup is applied and how terrible mosquitoes really are in the Louisiana swamps, where the film was made/filmed. It’s a truly a must-own disc for the Hatchet fans. If you have an idea for the next weirdo’ween review[s] please let me know which movie[s] you’d like to see next! If you found yourself to enjoy this particular review – and want to see more – then take a minute and follow me over on my Facebook page [it’s at over 120+ likes almost at 130!] 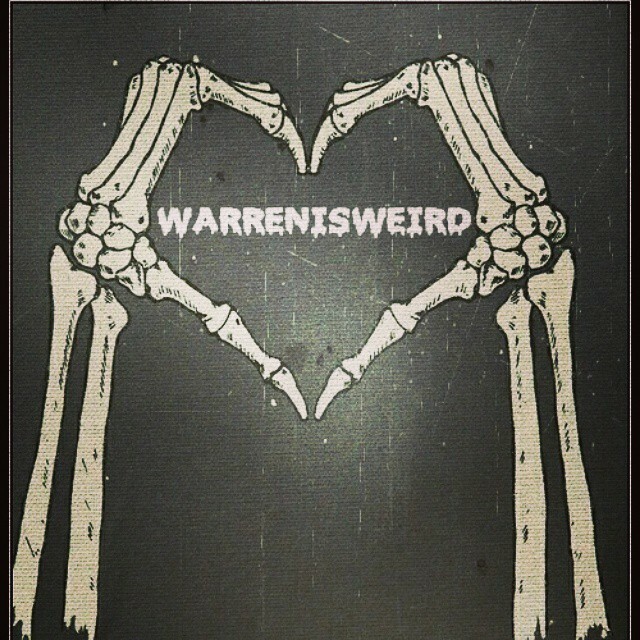 By clicking that “like” button, you’ll see every post from warrenisweird the very moment it’s been posted online; as well as links to articles and pictures/videos that will not be featured here on the blog. Every “like” helps me a ton, giving me the ability to write more posts for you to read, so be sure to tell the horror enthusiast in your life to do the same, and share The Facebook Page with your family and friends! Join me tomorrow morning when I talk about weirdo’ween #16! – STAY TUNED! Today, we return to the swamp in the sequel to yesterday’s movie, Hatchet II. To no one’s surprise, Kane Hodder and Tony Todd reprise their roles as Crowley and Reverend Zombie, but this time, we get Danielle Harris, who replaces Tamara Feldman as Marybeth. As with many sequels, this one takes place more or less right after the first film ends, and even if we have a “new” Marybeth, Harris works really well as the character – to the point of making us feel how vengeful she really is towards Victor Crowley. If you’re reading this review, hopefully you’ve seen the first Hatchet film, because Hatchet II takes place right after the first film. Down to the very last frame.. HOLD ON TO YOUR PIECES! Last time we saw her, Marybeth was in Honey Island Swamp with the group of tourists who were all massacred, though Marybeth barely escapes the wrath of Victor Crowley. Her father [and brother] were not so lucky. [they were the fishers, who were killed in the first ten minutes of the first film] We now see that she’s saved by a local swamp scavenger, who proceeds to yell at her after he finds that she is from the Dunston family. He does tell her she should have Reverend Zombie explain everything to her, as that’ll clear some things up. Once the group gets deeper and deeper into the swamp by nightfall, they try to figure out their plan. Naturally, to increase incentives, whoever brings back the head of Victor Crowley, Zombie will give them $5000! Because Zombie has a ‘secret’ plan that he thinks will destroy the curse. Hatchet II looks and feels much cheaper than the first, but that might be considering the original was shot on 35mm film for $1.5 million, while this one was shot on digital for half that budget. There’s a nice flashback sequence explaining the origins of the killer, and Tony Todd gets to play a leading role this time around and, as per his usual, does a great job holding things together. But if we are to get real here, the target audience isn’t really going to care much about the dialogue, plot, acting or even the production values: they’ve come here for the gore, and this movie delivers on that front. As expected, Adam Green seems to be fond of head and face mutilations in his horror films. We see a face get sliced off, a face chopped to a bloody pulp, a face smashed to a bloody pulp, a face chopped to bits by an boat motor and a head getting sanded down [and then smashed in] with a belt sander. 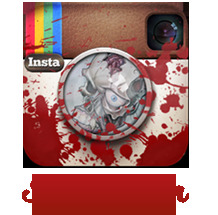 It’s a gory, bloody mess; and I absolutely love it. Hatchet II is clearly not for the faint-hearted, but then every moment of violence is so over the top that, if treated as the pure horror comedy spectacle it is, it will have audiences clapping and cheering at every lovingly put together death sequence: it’s almost as if the unique deaths of the first Hatchet film got boosted times 1000000! If the gore itself isn’t enough for you, Hatchet II‘s final tally count of fake blood used in the making is a whopping 136 gallons.. This means, that over 81 gallons more was used in this sequel and double the amount used in the making of Hatchet, which reportedly used 55 gallons of fake blood by the film’s end. Unfortunately, like the first film, Hatchet II met with a lot of negative responses, mainly saying that it’s just a ‘gorefest’. I mean, it is: the third act goes into ridiculously over the top slasher gore. But, it’s for good reason. The film goes from one insanely original and creatively grotesque death scene to another. Let’s be honest though, the film does open with a man being strangled until his head bursts by his own intestines.. but we don’t get much more of that until the last third of the film. It’s worth the wait though, because even if the film isn’t very scary or even disturbing at all, it’s so over the top and ridiculous, it comes off as fun! You can tell, like the first film, that Adam Green had a blast making these movies, as they are tributes to the slasher films of the 80s that he grew up with, that aren’t meant to have story telling genius plots, but instead; gratuitous violence…which we’re all here to see anyway, right? So if you like messy, gory films: check out Hatchet II. It’s by no means a fantastic storytelling film, but it has passion put into it. Like it’s predecessor, Hatchet, you can tell that the people who made them aren’t out for awards, but to have fun. It’s a great movie to watch on an October Friday night while trying to figure out, just how do you kill the infamous Victor Crowley? Like the first film though, it does end kind of abruptly, with Crowley getting shot in the face with a shotgun..multiple times. But is he truly gone..for good? I guess not, because tomorrow I review the epic conclusion to the Hatchet series, Hatchet III! another thing! If you have an idea for the next weirdo’ween review please let me know which movie[s] you’d like to see next! If you found yourself to enjoy this particular review – and want to see more – then take a minute and follow me over on my Facebook page [it’s at over 120+ likes almost at 130!] 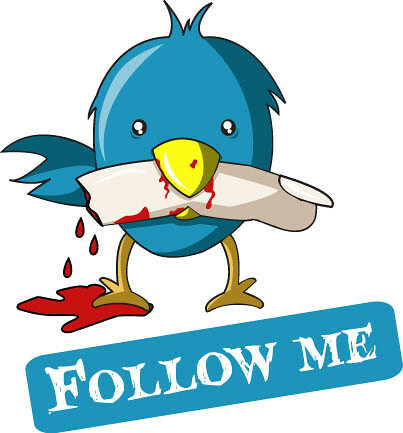 By clicking that “like” button, you’ll see every post from warrenisweird the very moment it’s been posted online; as well as links to articles and pictures/videos that will not be featured here on the blog. 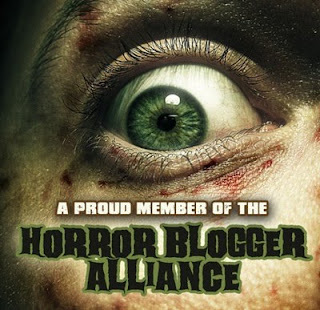 Every “like” helps me a ton, giving me the ability to write more posts for you to read, so be sure to tell the horror enthusiast in your life to do the same, and share The Facebook Page with your family and friends! Join me tomorrow morning when I talk about weirdo’ween #15 – which will conclude the trilogy with Hatchet III! – STAY TUNED!